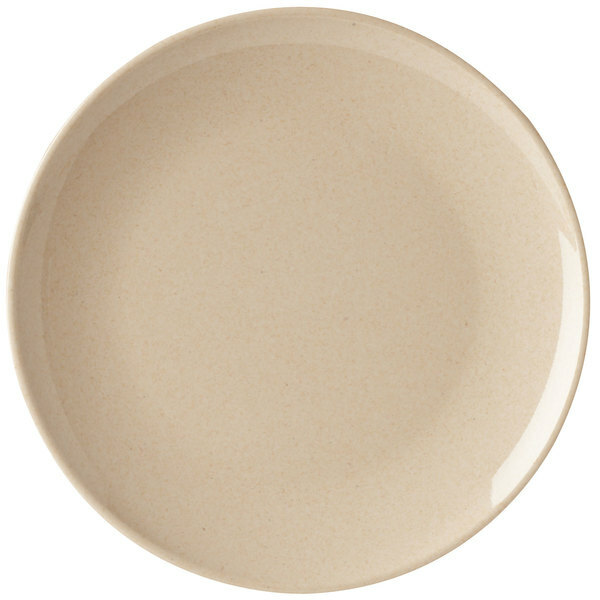 Give your signature dishes a subtle edge with this GET BAM-16102 BambooMel 12" round plate! Combining a classic, round shape with a slight, sloped rim, this versatile plate is perfect for any establishment! The sloped rim allows the plate to be handled easily while keeping the presentation precised. This 12" plate is crafted from bamboo fiber and melamine, creating an eco-friendly dinnerware that can be used for buffets, cafeterias, and healthcare facilities. Try using this plate for your signature entrees including shepard's pie, spaghetti, and casserole. You can also use this plate for steak, potatoes, and asparagus. This bamboo melamine dinnerware from GET Enterprise provides customers with a stylish and durable product that ensures long-lasting use. Its beige, neutral tone will suit any establishment, while its melamine construction makes it extremely durable and break-resistant. The easy-to-clean material is dishwasher safe and dries faster than the standard dishware, making clean up a breeze. 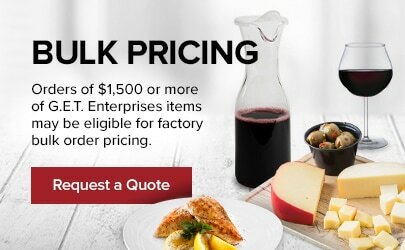 The sturdy plate can also endure the rigors of everyday use at any catering event or buffet. Made with a lighter, more durable material than china or porcelain, this melamine plate still provides a similar look and aesthetic that will please your customers.